Oh, Valentine’s Day. A day dedicated to showing the people you love most just how much you love them. It’s easy to grab a box of chocolates or a bottle of wine – but Kingston has some pretty unique experiences to offer. We’ve got them all listed right here for you no matter what kind of mood you’re in! Whether you like to paint, solve puzzles or just create cool projects together – there is something for you to do this Valentine’s Day! Paint Night at the Kingston Collective: Lead by local artist, Danielle Folkert (aka The Travelling Artisan), you can enjoy an acrylic paint workshop with step-by-step instructions and treats from Kingston’s finest bakery Pan Chancho. Click here for more details! 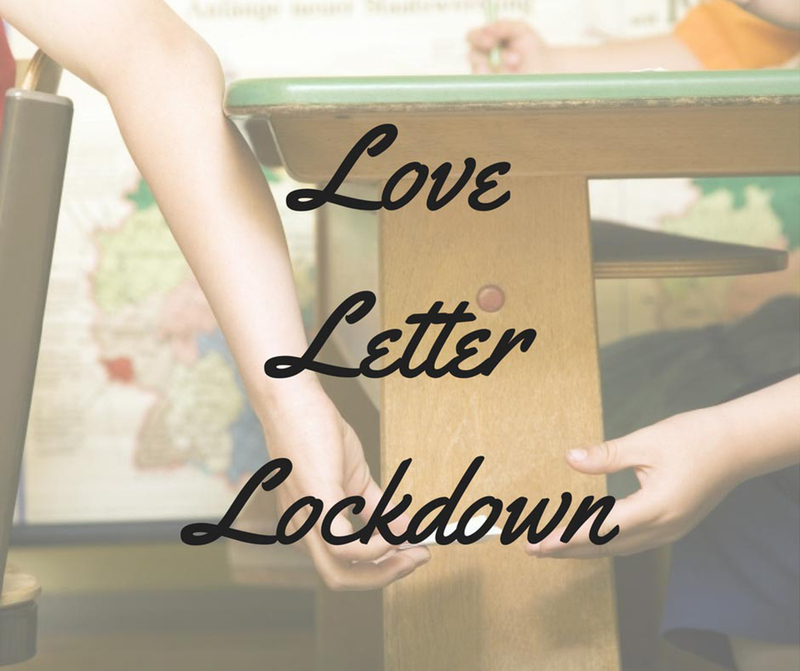 Improbable Escape’s Love Letter Lockdown: What’s better than getting locked in a room with your favourite person? Test your puzzle-solving and communication skills with this fun, nostalgic Improbable Escape room. And when you book Tuesday-Thursday throughout the month of February you can save $5! Just use the promo code: Loveletter. Learn more and book here. Partner Painting: Another paint night option! If you really want to cheese it up, Paint Nite Kingston is offering the opportunity for you and your sweetheart to each paint half of a full painting. Sip a pint at the Merchant or Tir nan Og and test your artistic chemistry. Classes are available on February 12 at Tir nan Og and February 13 at the Merchant. Make Your Own Paperweight: If you’re busy the week of Valentine’s Day and don’t mind celebrating the following weekend, try a glass blowing class at Kingston Glass Gallery! Things will really heat up in the studio while you select your own colours and designs and watch as their glass artists pour molten hot glass onto your creation to form a paperweight. More information. For the couple who enjoy going for a run together or hitting the gym, these dates will get you moving! Skate Night: Tie up your skates and visit Springer Market Square for a romantic glide. Afterwards, consider a visit to the Tir nan Og (they offer 10 percent off for skaters!) or grab a chocolatey treat at Cocoa 70 just down the street. 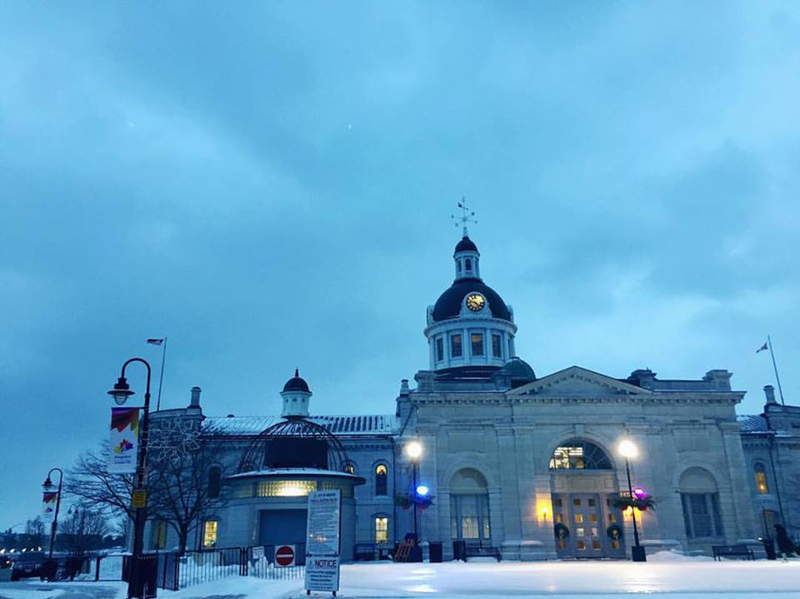 Nothing is more romantic than a nice skate beside Kingston’s beautiful City Hall! 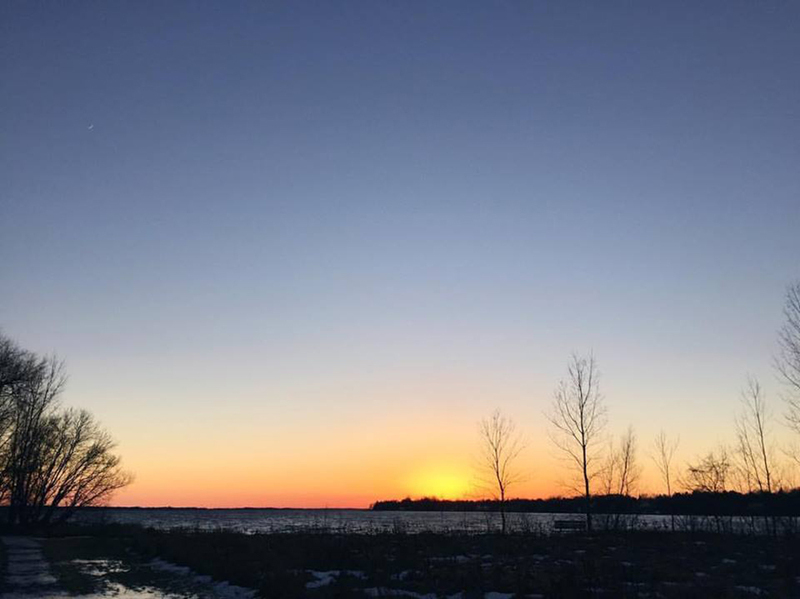 Lemoine Point: Fill at thermos of hot chocolate and take your boo for a winter walk through Kingston’s Lemoine Point Conservation Area. If you time it just right you can watch the sunset on the water together. How romantic (and affordable) is that? Semi-Formal Salsa Night: Even if you have two left feet, bring them out to dance the salsa, tango and merengue at the Kingston Yacht Club on February 11. Boiler Room: Climb new heights as a couple at Kingston’s Boiler Room Climbing Gym! If you both love a good physical challenge and trying something new, this could be a unique and fun way to spend Valentine’s Day! Fine wine and pricey meals, who says money can’t buy love? Just kidding. 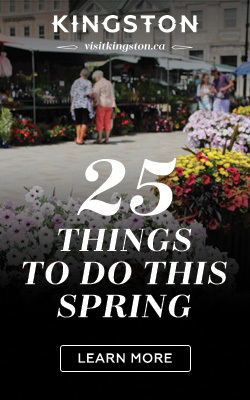 But if you’re not pinching pennies this Valentine’s day, one of these ideas might be for you. Dinner and a Movie: The Screening Room and Olivea have teamed up to bring you classic romantic film “A Room with a View” paired with a four-course Tuscan dinner with wine pairings hosted by Rob Elvy of the Small Winemakers Collection. On February 13th catch the movie at 5 pm at the Screening room followed by a delicious meal at Olivea. Winemaker’s Dinner Benefit Series at AquaTerra: Start your Valentine’s celebrations early with a four-course dinner with wine pairings prepared by Executive Chef Brent McAllister and Prince Edward County’s Brian Hanna of Huff Estates. The dinner is in support of Doug Gilmore’s “Courage – Let’s Do It For Gordie” Fund. A Singing Valentine: Does your partner love a big gesture? You can hire a Barbershop Quartet to serenade your loved one with two songs, a flower, sweets and a card at your location of choice in Kingston. I am not making this up. 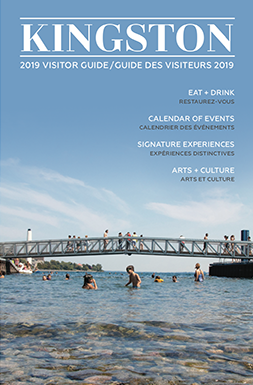 Hopefully this list will provide you with a little bit of inspiration – and enough lead time – to have a memorable Valentine’s Day in Kingston!